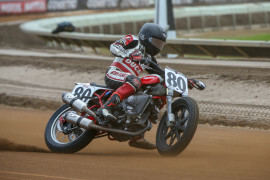 American Flat Track Rider Bio - Kenneth Coolbeth, Jr.
Kenny Coolbeth Jr. is capping off a 25-year career aboard the Nila Racing Indian Scout FTR750 for the 2018 American Flat Track season. 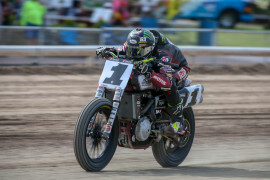 After winning a place among flat track racing’s elite with three Grand National Champion titles in just three years (2006, 2007, 2008), he’s just one TT win away from a flat track Grand Slam (Mile, Half-Mile, Short Track, and TT wins). His 36 victories have him fifth on the all-time win list, and the 41-year-old isn’t slowing down in his final season, earning five podiums to-date in 2018. 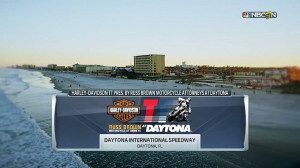 2017 Kenny Coolbeth Jr. finished 13th in the 2017 season while racing with the Harley-Davidson team and had four top-10 finishes. 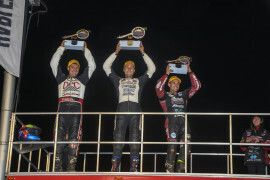 Finished the GNC1 season seventh in the points with five podiums including a win at Springfield Mile II. 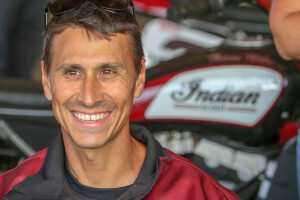 Raced for Zanotti Racing H-D.
Made all but one GNC1 Main - the Peoria TT - earning six podiums, including two wins (DAYTONA Flat Track II, Delaware Half-Mile). 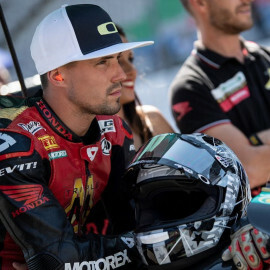 Raced for Zanotti Racing H-D.
2013 Coolbeth's two Top 5s out of his eight starts were enough to earn him a fifth-place finish in GNC Expert Twins competition. 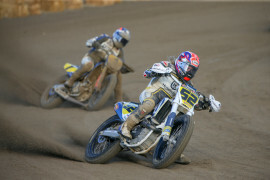 2012 Finished 5th in the GNC Expert Twins point standings. Recorded two wins, the first of which coming at Knoxville Raceway, and then again on the last weekend of the season at LA County Fairplex. Coolbeth had an impressive season earning wins at the Hagerstown Speedway and at the Souther Illinois Center. He also earned 13 Top 10s and five Top5s. Raced with Harley-Davidson Motor Company/Chaplin Kawasaki. Coolbeth earned seven podium finishes, winning the Minnesota Mile in Minneapolis, MN. 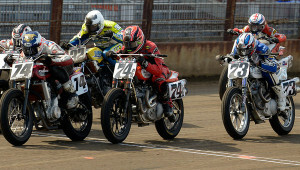 Raced with Screamin’ Eagle Harley-Davidson/Bettencourt’s Honda team. 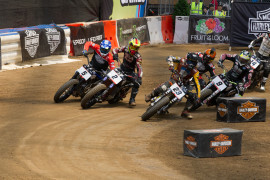 Coolbeth won two GNC Twins events at Springfield May 23rd and Indianapolis, earning himself a total of six Top3 twins finishes. 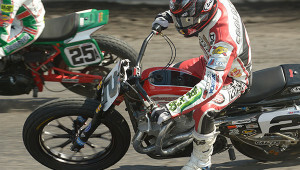 Coolbeth was injured and not able to compete at the Springfield Mile Sept. 5th round. Coolbeth placed second in the Expert Singles at Daytona Short Track March 5th. Raced with Screamin’ Eagle Harley-Davidson/Bettencourt’s Honda team. 2008 Coolbeth won a third AMA Grand National Twins Championship title with six wins and four additional series podium finishes...Also earned one win in the AMA Grand National Singles Championship at Billings, MT and one additional series podium finish...Entered select AMA National Hot Shoe races, earning a win at Barberville, FL in the 750/100 Expert and a win at Savannah, GA in the 450 Expert...Raced with Screamin' Eagle Harley-Davidson/Bettencourt's Honda team. 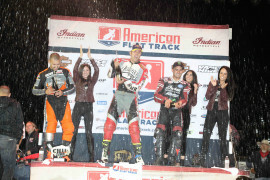 2007 Coolbeth won a second AMA Grand National Twins Championship title with six wins and three additional series podium finishes... Also won the AMA Grand National Singles Championship, earned with four podium finishes... 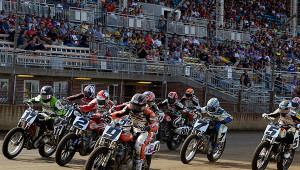 Entered select AMA National Hot Shoe races, earning wins in the AMA 750/1000 Expert and 450 Expert races at Savannah, GA... Raced with Screamin' Eagle Harley-Davidson/Bettencourt's Honda team. 2006 Coolbeth won the AMA Grand National Twins Championship title with three wins and three additional series podium finishes... 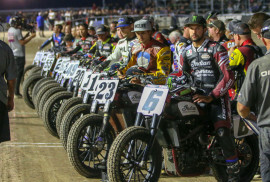 In the AMA Grand National Singles Championship, Coolbeth earned a second-place finish at the Sept. 2, Springfield, Ill. race... Earned a podium finish in the AMA Expert Hot Shoe race at Savannah, Ga... Raced with Screamin' Eagle/Harley-Davidson/Bettencourt's Honda. 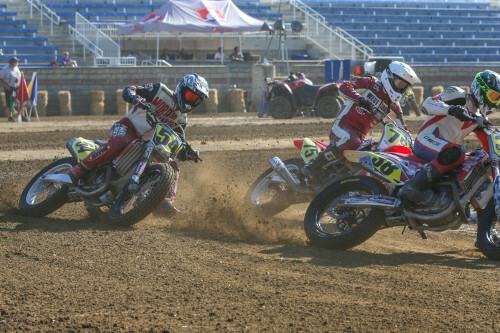 Take a closer look at AMA Pro Flat Track star Kenny Coolbeth Jr.